One of the main presents I like to give Liv at Christmas are books. I love books so much that her room could quite easily pass as a Library! Further adding to her book collection are the wonderful books that Carlton Books sent to us recently. Proving that books aren’t just about reading text and gazing over wonderful illustrations the titles mentioned below offer the readers something special! All books mentioned below are available from the Carlton Books website. 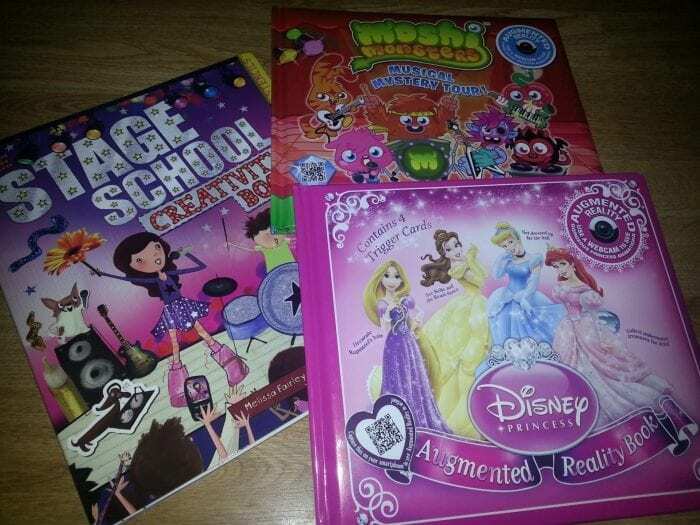 Disney Princess Augmented Reality Book (£9.99) – A wonderful, high quality, very pink book which is perfect for little Princesses! Alongside profiles and introductions to the Disney Princesses and stories which are the perfect length for bedtime, there is a special disc! This is possibly the moment when I explain a little about Augmented Reality (AR)! Mixing the real and virtual worlds together, the Disney Princess Augmented Reality book will be brought to life with amazing interactive animations. The books comes with a set of Princess Trigger Cards that you simply hold up to your webcam (this is required for the magic to happen!) to enable recognition of each trigger. These include: Ariel Treasure Challenge, Dress Up For The Ball, Decorate Rapunzel’s Hair and See Belle Wave At You And Watch Her Dance The Waltz. 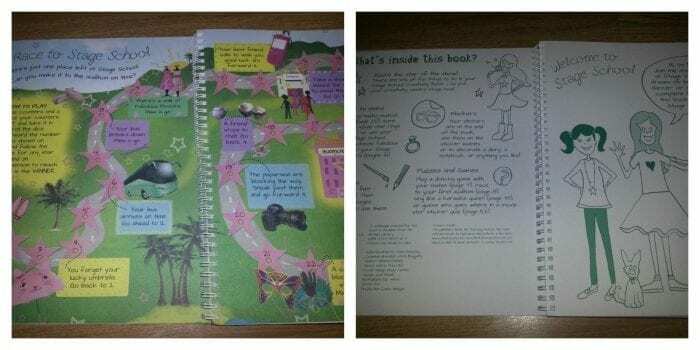 Hidden in a handy little pocket on the inside cover the triggers will bring the book to life and keep your budding Princesses entertained whilst they help the Disney characters in their challenges. The book is absolutely amazing! I have never known anything like it and to say Liv loves it is an understatement. Asking Liv what she wants to be when she is older, the reply is always ‘ A Princess’ so what better training manual to give her! I actually found the process of running the AR and setting off the triggers with the webcam much easier than expected. Nothing else is required! Liv loves the stories at bedtime and as expected the images are vibrant and the story is heart warming. A must for Christmas! Moshi Monsters Musical Mystery Tour Augmented Reality Book (£9.99) – again working on the same concept as the Disney Princess AR book, there are 4 trigger cards enabling Moshi Monster lovers to Tour Monstro City, Wear A Cool Moshi Mask, Groove The Underground Disco and Fight Off The Glumps. The book allows the reader to follow the Musical Mystery Tour completing in little activities as well as the Augmented Reality. I actually quite liked this book, admittedly I have no idea what Moshi Monsters are, Liv does strangely enough, though the book is really colourful and quite comical! A definite thumbs up from us! The Stage School Creativity Book (£9.99) – Liv is at the stage now where she is constantly cutting pieces of paper. She definitely takes after me in that respect! A fun filled, wire bound book which enables any child to run away with their creativity. With stencils, dot to dot and maze games, costume cut outs, stickers and a pull out stage/backstage page to fill with stickers, it really is jammed packed with activities. I would say this is perfect for rainy days and holidays. I really like the fact the book acts as a folder of your child’s creativity, something that is definitely a keepsake to look back on. The Stage School Creativity Book is part of a series which includes Art, Christmas, Dragon, Pirate, Princess and Style Queen Creativity Books and more. There is even a Wallace and Gromit Activity book which Liv would absolutely adore! Thirst Pockets Multi Cloth – the multi purpose kitchen towel that works!